Why can’t I receive messages from my colleagues? You may have messaging disabled. To enabled messaging, go to the menu on the left, then Settings, and then use the toggle switch to enable messaging. 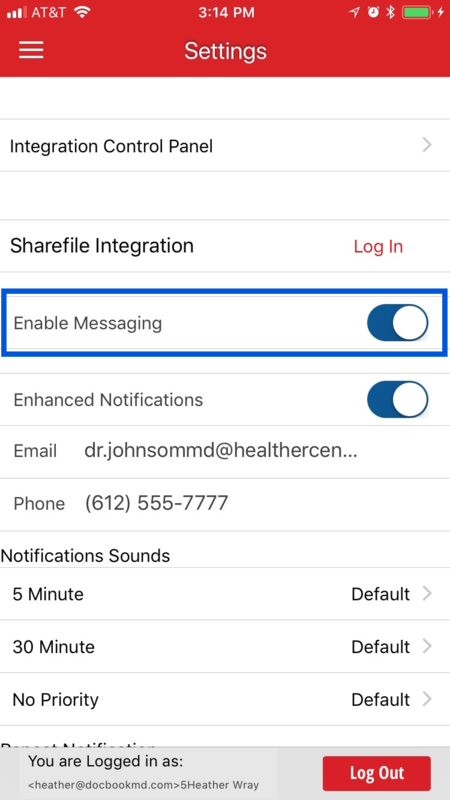 Additionally, you can enable “Enhanced Notifications” if you’d like to receive a text message or an email when you receive a message from your colleagues. If you are still having trouble, contact DocbookMD Support.